Lock in a great price for Strandhotel garni Kormoran – rated 8 by recent guests! 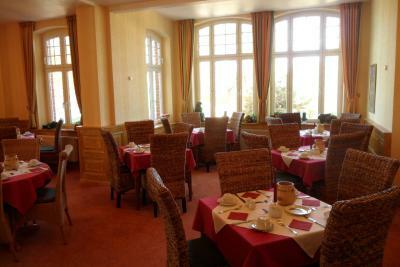 Breakfast spread was fantastic, staff extremely friendly, everything as I expected in this beautiful beachfront resort. The hotel is really near the sea, the place is perfect, personal is friendly. Wir waren begeistert von dem Preis-Leistungsverhältnis und dem sehr netten Personal. Kurz gesagt waren wir rund um zufrieden. Wir kommen wieder. Das Frühstück... welches wir im Hotel Preussenhof einnehmen durften... war sehr vielseitig und lecker... wie auch der dortige Service. Das Zimmer war sehr geräumig... die Betten sehr bequem. Top ist die Lage direkt an der Strandpromenade. Das Frühstück (im Sommer/ zu Stoßzeiten) direkt in der Unterkunft, ansonsten im Haupthaus (2 min Fußweg) ist gut. Super Lage. Schöne große Zimmer. Gut schallisoliert. 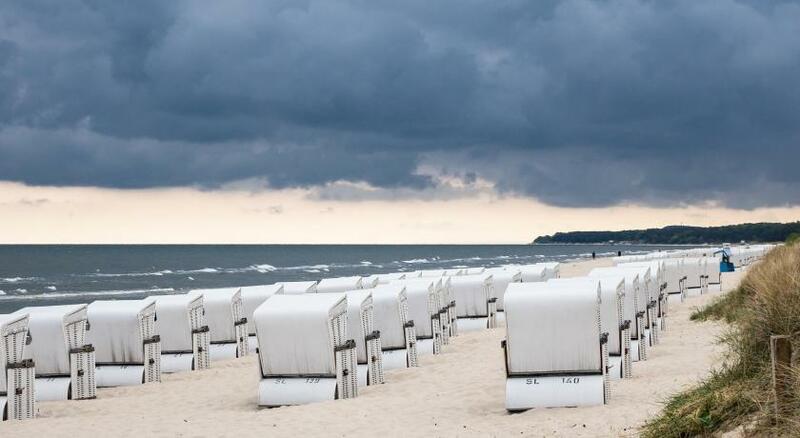 Wenn die Baumaßnahmen abgeschlossen sind gut über die Strandpromenade zu erreichen. Aufgrund der Baumaßnahmen und der damit mit dem Auto zu bewältigenden Wege (Gehbehinderung) konnte ich den Parkschein auch am Hotel "Preußenhof" uneingeschränkt nutzen. 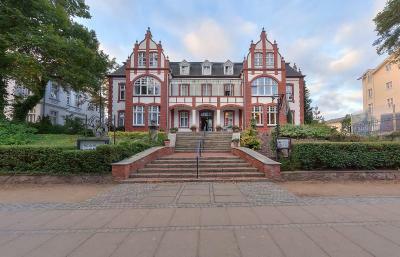 One of our top picks in Zinnowitz.Located directly on the Zinnowitz Beach Promenade, this hotel offers a sun terrace and daily breakfast buffets. 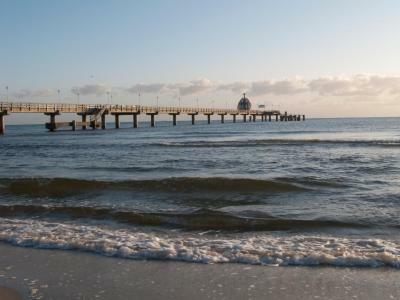 The sandy beach is a few steps away. Hotel garni Kormoran features classic beachfront architecture. 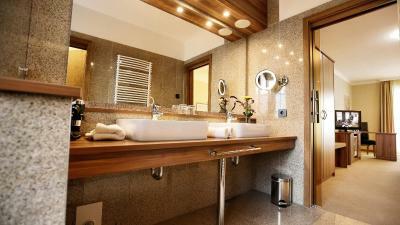 The stylish rooms rooms include cable TV, a mini-bar, and a private bathroom. 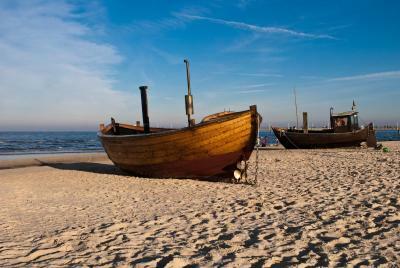 Some rooms have a balcony or terrace with fantastic Baltic Sea views. 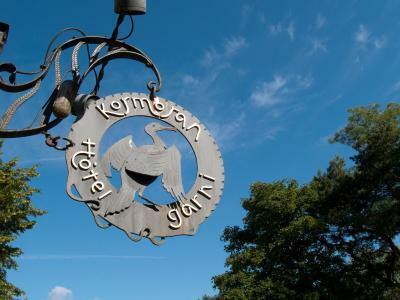 The Kormoran Hotel’s private car park is available on request. 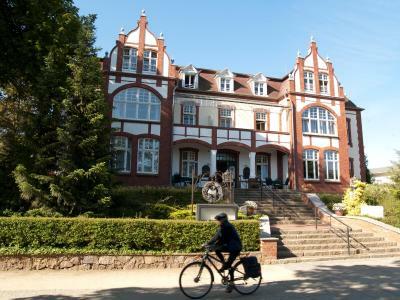 뀐 Located in the top-rated area in Zinnowitz, this property has an excellent location score of 9.4! 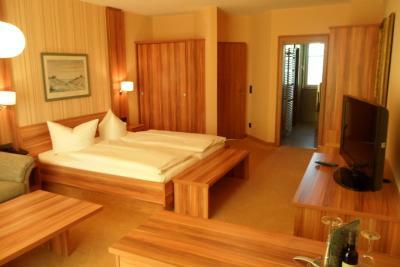 When would you like to stay at Strandhotel garni Kormoran? South-facing room featuring a flat-screen TV, and a private bathroom with toiletries and a hairdryer. 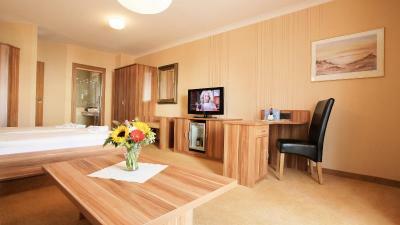 This room offers views of the sea or Zinnowitz Beach Promenade. This south-facing room is located in the annex of the hotel. It offers a balcony or terrace, a sofa and a private bathroom with shower. - free use of 2625 ft² wellness area in the Strandhotel Preussenhof, 492 feet away. - a choice of New Year's Eve events either: the New Year's Eve Gala in the ballroom of Strandhotel Preussenhof including a welcome drink (sparkling wine), a gala buffet as well as midnight buffet accompanied by live music. Or: New Year's Eve in the restaurant café of the Strandhotels Preussenhof A welcome drink (sparkling wine) and a 6-course menu. Please note that the daily dinner will be at the Strand- und Wellnesshotel Preussenhof which is 492 feet away. Please note that the daily dinner and brunch will be at the Strand- und Wellnesshotel Preussenhof which is 492 feet away. This room has a separate living room and bedroom and features a sofa, a private bathroom and a flat-screen TV. House Rules Strandhotel garni Kormoran takes special requests – add in the next step! Strandhotel garni Kormoran accepts these cards and reserves the right to temporarily hold an amount prior to arrival. Reception is located at the Preussenhof Hotel, which is located at Dünenstr. 10 (beside Zinnowitz pier). Check-in and picking up the keys takes place there. Outside the summer season, breakfast is also served here. Please note that Hotel garni Kormoran does not have a elevator. Breakfast was good not excellent.